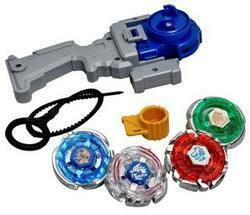 We Supply branded and unbranded beyblade toys. After understanding the demands of customers, we offer a wide array of Small Beyblade Spinner which is available in various sizes, colors, design and patterns to satisfy the exact requirements of our clients. To ensure their flawless finish, these products are quality tested by our quality auditors on well defined parameters. 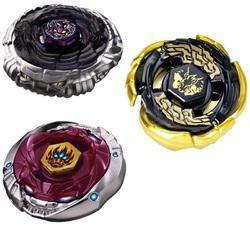 Takaratomy beyblades available.Death quatzelcoatl, ray unicorno, twin nemesis, nightmare longinus, guardian kerbeus, kreiscygnus starter.